The Carolina Panthers host the New Orleans Saints on “Thursday Night Football,” kicking off a battle for first place at 8:25 p.m. ET. The Saints opened as 2.5-point favorites, and the line has nudged up to three leading up to kickoff according to sportsbooks monitored by OddsShark.com. The total is set at 49 points. The Saints head into this game 3-9 against the spread in their last 12 road games, and 0-7 ATS in their last seven games as a road favorite. 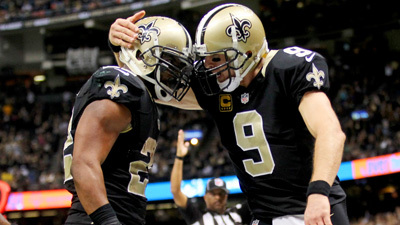 The Saints are 1-3 straight up and ATS in their last four contests with the Panthers. They are also 1-5 ATS in their last six road contests against Carolina. The Panthers are 9-2-1 ATS in their last 12 home games.